It is one of the leading doctrines of Romanism that the pope is the visible head of the universal church of Christ, invested with supreme authority over bishops and pastors in all parts of the world. More than this, the pope has been given the very titles of Deity. He has been styled “Lord God the Pope”i, and has been declared infallible. He demands the homage of all men. The same claim urged by Satan in the wilderness of temptation is still urged by him through the Church of Rome, and vast numbers are ready to yield him homage. The detector of error having been removed, Satan worked according to his will. Prophecy had declared that the papacy was to “think to change times and laws.” Daniel 7:25. This work it was not slow to attempt. To afford converts from heathenism a substitute for the worship of idols, and thus to promote their nominal acceptance of Christianity, the adoration of images and relics was gradually introduced into the Christian worship. The decree of a general councilii finally established this system of idolatry. To complete the sacrilegious work, Rome presumed to expunge from the law of God the second commandment, forbidding image worship, and to divide the tenth commandment, in order to preserve the number. In the early part of the fourth century the emperor Constantine issued a decree making Sunday a public festival throughout the Roman Empire.iii The day of the sun was reverenced by his pagan subjects and was honored by Christians; it was the emperor’s policy to unite the conflicting interests of heathenism and Christianity. He was urged to do this by the bishops of the church, who, inspired by ambition and thirst for power, perceived that if the same day was observed by both Christians and heathen, it would promote the nominal acceptance of Christianity by pagans and thus advance the power and glory of the church. But while many God-fearing Christians were gradually led to regard Sunday as possessing a degree of sacredness, they still held the true Sabbath as the holy of the Lord and observed it in obedience to the fourth commandment. In the sixth century the papacy had become firmly established. Its seat of power was fixed in the imperial city, and the bishop of Rome was declared to be the head over the entire church. Paganism had given place to the papacy. The dragon had given to the beast “his power, and his seat, and great authority.” Revelation 13:2. And now began the 1260 years of papal oppression foretold in the prophecies of Daniel and the Revelation. Daniel 7:25; Revelation 13:5-7.ivChristians were forced to choose either to yield their integrity and accept the papal ceremonies and worship, or to wear away their lives in dungeons or suffer death by the rack, the fagot, or the headsman’s ax. Now were fulfilled the words of Jesus: “Ye shall be betrayed both by parents, and brethren, and kinsfolks, and friends; and some of you shall they cause to be put to death. And ye shall be hated of all men for My name’s sake.” Luke 21:16, 17. Persecution opened upon the faithful with greater fury than ever before, and the world became a vast battlefield. For hundreds of years the church of Christ found refuge in seclusion and obscurity. Thus says the prophet: “The woman fled into the wilderness, where she hath a place prepared of God, that they should feed her there a thousand two hundred and three-score days.” Revelation 12:6. The few faithful builders upon the true foundation. (1 Corinthians 3:10, 11) were perplexed and hindered as the rubbish of false doctrine obstructed the work. Like the builders upon the wall of Jerusalem in Nehemiah’s day, some were ready to say: “The strength of the bearers of burdens is decayed, and there is much rubbish; so that we are not able to build.” Nehemiah 4:10. Wearied with the constant struggle against persecution, fraud, iniquity, and every other obstacle that Satan could devise to hinder their progress, some who had been faithful builders became disheartened; and for the sake of peace and security for their property and their lives, they turned away from the true foundation. Others, undaunted by the opposition of their enemies, fearlessly declared: “Be not ye afraid of them: remember the Lord, which is great and terrible” (verse 14); and they proceeded with the work, everyone with his sword girded by his side. Ephesians 6:17. The same spirit of hatred and opposition to the truth has inspired the enemies of God in every age, and the same vigilance and fidelity have been required in His servants. The words of Christ to the first disciples are applicable to His followers to the close of time: “What I say unto you I say unto all, Watch.” Mark 13:37. A striking illustration of the tyrannical character of this advocate of infallibility was given in his treatment of the German emperor, Henry IV. For presuming to disregard the pope’s authority, this monarch was declared to be excommunicated and dethroned. 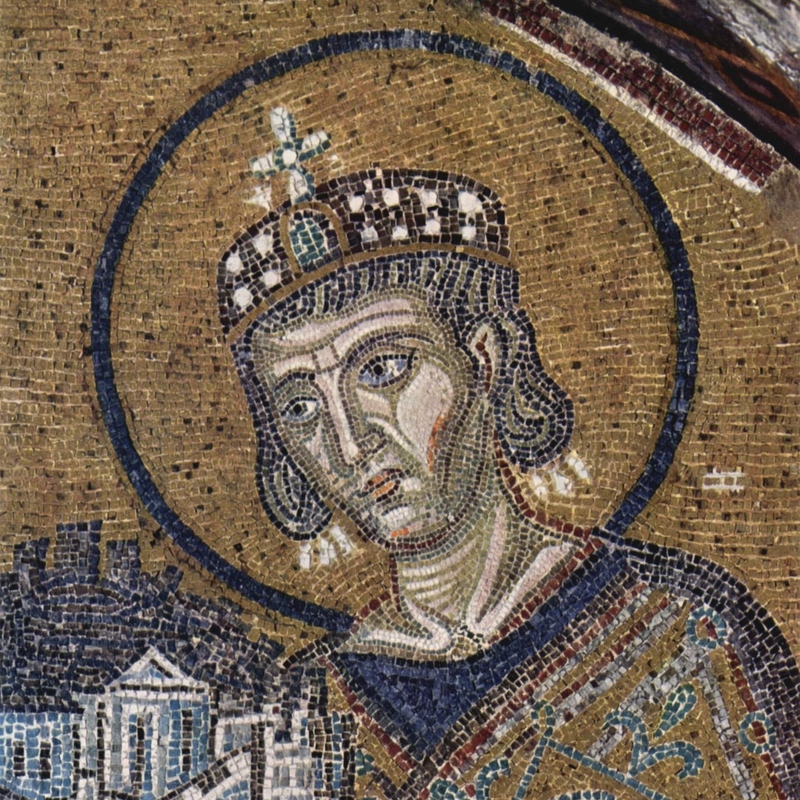 Terrified by the desertion and threats of his own princes, who were encouraged in rebellion against him by the papal mandate, Henry felt the necessity of making his peace with Rome. In company with his wife and a faithful servant he crossed the Alps in midwinter, that he might humble himself before the pope. Upon reaching the castle whither Gregory had withdrawn, he was conducted, without his guards, into an outer court, and there, in the severe cold of winter, with uncovered head and naked feet, and in a miserable dress, he awaited the pope’s permission to come into his presence. Not until he had continued three days fasting and making confession, did the pontiff condescend to grant him pardon. Even then it was only upon condition that the emperor should await the sanction of the pope before resuming the insignia or exercising the power of royalty. And Gregory, elated with his triumph, boasted that it was his duty to pull down the pride of kings. The advancing centuries witnessed a constant increase of error in the doctrines put forth from Rome. Even before the establishment of the papacy the teachings of heathen philosophers had received attention and exerted an influence in the church. Many who professed conversion still clung to the tenets of their pagan philosophy, and not only continued its study themselves, but urged it upon others as a means of extending their influence among the heathen. Serious errors were thus introduced into the Christian faith. Prominent among these was the belief in man’s natural immortality and his consciousness in death. This doctrine laid the foundation upon which Rome established the invocation of saints and the adoration of the Virgin Mary. From this sprang also the heresy of eternal torment for the finally impenitent, which was early incorporated into the papal faith. In the thirteenth century was established that most terrible of all the engines of the papacy—the Inquisition. The prince of darkness wrought with the leaders of the papal hierarchy. In their secret councils Satan and his angels controlled the minds of evil men, while unseen in the midst stood an angel of God, taking the fearful record of their iniquitous decrees and writing the history of deeds too horrible to appear to human eyes. “Babylon the great” was “drunken with the blood of the saints.” The mangled forms of millions of martyrs cried to God for vengeance upon that apostate power. Popery had become the world’s despot. Kings and emperors bowed to the decrees of the Roman pontiff. The destinies of men, both for time and for eternity, seemed under his control. For hundreds of years the doctrines of Rome had been extensively and implicitly received, its rites reverently performed, its festivals generally observed. Its clergy were honored and liberally sustained. Never since has the Roman Church attained to greater dignity, magnificence, or power. But “the noon of the papacy was the midnight of the world.”—J. A. Wylie, The History of Protestantism, b. 1, ch. 4. The Holy Scriptures were almost unknown, not only to the people, but to the priests. Like the Pharisees of old, the papal leaders hated the light which would reveal their sins. God’s law, the standard of righteousness, having been removed, they exercised power without limit, and practiced vice without restraint. Fraud, avarice, and profligacy prevailed. Men shrank from no crime by which they could gain wealth or position. The palaces of popes and prelates were scenes of the vilest debauchery. Some of the reigning pontiffs were guilty of crimes so revolting that secular rulers endeavored to depose these dignitaries of the church as monsters too vile to be tolerated. For centuries Europe had made no progress in learning, arts, or civilization. A moral and intellectual paralysis had fallen upon Christendom. The condition of the world under the Romish power presented a fearful and striking fulfillment of the words of the prophet Hosea: “My people are destroyed for lack of knowledge: because thou hast rejected knowledge, I will also reject thee: . . . seeing thou hast forgotten the law of thy God, I will also forget thy children.” “There is no truth, nor mercy, nor knowledge of God in the land. By swearing, and lying, and killing, and stealing, and committing adultery, they break out, and blood toucheth blood.” Hosea 4:6, 1, 2. Such were the results of banishing the word of God. i. Titles.—In a passage which is included in the Roman Catholic Canon Law, or Corpus Juris Canonici, Pope Innocent III declares that the Roman pontiff is “the vicegerent upon earth, not of a mere man, but of very God;” and in a gloss on the passage it is explained that this is because he is the vicegerent of Christ, who is “very God and very man.” See Decretales Domini Gregorii Papae IX (Decretals of the Lord Pope Gregory IX), liber 1, de translatione Episcoporum, (on the transference of Bishops), title 7, ch. 3; Corpus Juris Canonici (2d Leipzig ed., 1881), col. 99; (Paris, 1612), tom. 2, Decretales, col. 205. The documents which formed the Decretals were gathered by Gratian, who was teaching at the University of Bologna about the year 1140. His work was added to and re-edited by Pope Gregory IX in an edition issued in 1234. Other documents appeared in succeeding years from time to time including the Extravagantes, added toward the close of the fifteenth century. All of these, with Gratian’s Decretum, were published as the Corpus Juris Canonici in 1582. Pope Pius X authorized the codification in Canon law in 1904, and the resulting code became effective in 1918.
ii. Image worship.—”The worship of images . . . was one of those corruptions of Christianity which crept into the church stealthily and almost without notice or observation. This corruption did not, like other heresies, develop itself at once, for in that case it would have met with decided censure and rebuke: but, making its commencement under a fair disguise, so gradually was one practice after another introduced in connection with it, that the church had become deeply steeped in practical idolatry, not only without any efficient opposition, but almost without any decided remonstrance; and when at length an endeavor was made to root it out, the evil was found too deeply fixed to admit of removal. . . . It must be traced to the idolatrous tendency of the human heart, and its propensity to serve the creature more than the Creator. . . .
“Images and pictures were first introduced into churches, not to be worshiped, but either in the place of books to give instruction to those who could not read, or to excite devotion in the minds of others. How far they ever answered such a purpose is doubtful; but, even granting that this was the case for a time, it soon ceased to be so, and it was found that pictures and images brought into churches darkened rather than enlightened the minds of the ignorant—degraded rather than exalted the devotion of the worshiper. So that, however they might have been intended to direct men’s minds to God, they ended in turning them from Him to the worship of created things.”—J. Mendham, The Seventh General Council, the Second of Nicaea,Introduction, pages iii-vi. For a record of the proceedings and decisions of the Second Council of Nicaea, A.D. 787, called to establish the worship of images, see Baronius, Ecclesiastical Annals, vol. 9, pp. 391-407 (Antwerp, 1612); J. Mendham, The Seventh General Council, the Second of Nicaea; Ed. Stillingfleet, Defense of the Discourse Concerning the Idolatry Practiced in the Church of Rome(London, 1686); A Select Library of Nicene and Post-Nicene Fathers, 2d series, vol. 14, pp. 521-587 (New York, 1900); Charles J. Hefele, A History of the Councils of the Church, From the Original Documents, b. 18, ch. 1, secs. 332, 333; ch. 2, secs. 345-352 (T. and T. Clark ed., 1896), vol. 5, pp. 260-304, 342-372. “All judges and city people and the craftsmen shall rest upon the venerable Day of the Sun. Country people, however, may freely attend to the cultivation of the fields, because it frequently happens that no other days are better adapted for planting the grain in the furrows or the vines in trenches. So that the advantage given by heavenly providence may not for the occasion of a short time perish.”—Joseph Cullen Ayer, A Source Book for Ancient Church History (New York: Charles Scribner’s Sons, 1913), div. 2, per. 1, ch. 1, sec. 59, g, pp. 284, 285. The Latin original is in the Codex Justiniani (Codex of Justinian), lib. 3, title 12, lex. 3. The law is given in Latin and in English translation in Philip Schaff’s History of the Christian Church, vol. 3, 3d period, ch. 7, sec. 75, p. 380, footnote 1; and in James A. Hessey’s Bampton Lectures, Sunday, lecture 3, par. 1, 3d ed., Murray’s printing of 1866, p. 58. See discussion in Schaff, as above referred to; in Albert Henry Newman, A Manual of Church History (Philadelphia: The American Baptist Publication Society, printing of 1933), rev. ed., vol. 1, pp. 305-307; and in Leroy E. Froom, The Prophetic Faith of Our Fathers (Washington, D.C.: Review and Herald Publishing Assn., 1950), vol. 1, pp. 376-381.
iv. Prophetic dates.—An important principle in prophetic interpretation in connection with time prophecies is the year-day principle, under which a day of prophetic time is counted as a calendar year of historic time. Before the Israelites entered the land of Canaan they sent twelve spies ahead to investigate. The spies were gone forty days, and upon their return the Hebrews, frightened at their report, refused to go up and occupy the Promised Land. The result was a sentence the Lord passed upon them: “After the number of the days in which ye searched the land, even forty days, each day for a year, shall ye bear your iniquities, even forty years.” Numbers 14:34. A similar method of computing future time is indicated through the prophet Ezekiel. Forty years of punishment for iniquities awaited the kingdom of Judah. The Lord said through the prophet: “Lie again on thy right side, and thou shalt bear the iniquity of the house of Judah forty days: I have appointed thee each day for a year.” Ezekiel 4:6. This year-day principle has an important application in interpreting the time of the prophecy of the “two thousand and three hundred evenings and mornings” (Daniel 8:14, R.V.) and the 1260-day period, variously indicated as “a time and times and the dividing of time” (Daniel 7:25), the “forty and two months” (Revelation 11:2; 13:5), and the “thousand two hundred and threescore days” (Revelation 11:3; 12:6). v. Forged writings.—Among the documents that at the present time are generally admitted to be forgeries, the Donation of Constantine and the Pseudo-Isidorian Decretals are of primary importance. “The ‘Donation of Constantine’ is the name traditionally applied, since the later Middle Ages, to a document purporting to have been addressed by Constantine the Great to Pope Sylvester I, which is found first in a Parisian manuscript (Codex lat. 2777) of probably the beginning of the ninth century. Since the eleventh century it has been used as a powerful argument in favor of the papal claims, and consequently since the twelfth it has been the subject of a vigorous controversy. At the same time, by rendering it possible to regard the papacy as a middle term between the original and the medieval Roman Empire, and thus to form a theoretical basis of continuity for the reception of the Roman law in the Middle Ages, it has had no small influence upon secular history.”—The New Schaff-Herzog Encyclopedia of Religious Knowledge, vol. 3, art. “Donation of constantine,” pp. 484, 485. It is deemed established that the “donation” is (1) a forgery, (2) the work of one man or period, (3) the forger has made use of older documents, (4) the forgery originated around 752 and 778. As for the Catholics, they abandoned the defense of the authenticity of the document with Baronius, Ecclesiastical Annals, in 1592. Consult for the best text, K. Zeumer, in the Festgabe fur Rudolf von Gneist (Berlin, 1888). Translat- ed in Coleman’s Treatise, referred to above, and in Ernest F. Henderson, Select Historical Documents of the Middle Ages (New York, 1892), p. 319; Briefwechsel (Weimar ed. ), pp. 141, 161. See also The New Schaff-Herzog Encyclopedia of Religious Knowledge (1950), vol. 3, p. 484; F. Gregorovius, Rome in the Middle Ages, vol. 2, p. 329; and Johann Joseph Ignaz von Doellinger, Fables Respecting the Popes of the Middle Ages (London, 1871). An early edition is given in Migne Patrolgia Latina, CXXX. For the oldest and best manuscript, see P. Hinschius, Decretales Pseudo-Isidorianiae at capitula Angilramni (Leipzig, 1863). Consult The New Schaff-Herzog Encyclopedia of Religious Knowledge(1950), vol. 9, pp. 343-345. See also H. H. Milman, Latin Christianity (9 vols. ), vol. 3; Johann Joseph Ignaz von Doellinger, The Pope and the Council (1869); and Kenneth Scott Latourette, A History of the Expansion of Christianity (1939), vol. 3; The Catholic Encyclopedia, vol. 5, art. “False Decretals,” and Fournier, “Etudes sure les Fausses Decretals,” in Revue d’Historique Ecclesiastique (Louvain) vol. 7 (1906), and vol. 8 (1907). vi. The Dictate of Hildebrand (Gregory VII).—For the original Latin version see Baronius, Annales Ecclesiastici, ann. 1076, vol. 17, pp. 405, 406 of the Paris printing of 1869; and the Monumenta Germaniae Historica Selecta, vol. 3, p. 17. For an English translation see Frederic A. Ogg, Source Book of Medieval History (New York: American Book Co., 1907), ch. 6, sec. 45, pp. 262-264; and Oliver J. Thatcher and Edgar H. Mcneal, source Book for Medieval History (New York: Charles Scribner’s Sons, 1905), sec. 3, item 65, pp. 136-139.
vii. Purgatory.—Dr. Joseph Faa Di Bruno thus defines purgatory: “Purgatory is a state of suffering after this life, in which those souls are for a time detained, who depart this life after their deadly sins have been remitted as to the stain and guilt, and as to the everlasting pain that was due to them; but who have on account of those sins still some debt of temporal punishment to pay; as also those souls which leave this world guilty only of venial sins.”—Catholic Belief (1884 ed. ; imprimatur Archbishop of New York), page 196.
viii. Indulgences.—For a detailed history of the doctrine of indulgences see Mandell Creighton, A History of the Papacy from The Great Schism to the Sack of Rome (London: Longmans, Green and Co., 1911), vol. 5, pp. 56-64, 71; W. H. Kent, “Indulgences,” The Catholic Encyclopedia, vol. 7, pp. 783-789; H. C. Lea, A History of Auricular Confession and Indulgences in the Latin Church (Philadelphia: Lea Brothers and Co., 1896); Thomas M. Lindsay, A History of the Reformation (New York; Charles Scribner’s Sons, 1917), vol. 1, pp. 216-227; Albert Henry Newman, A Manual of Church History (Philadelphia: The American Baptist Publication Society, 1953), vol. 2, pp. 53, 54, 62; Leopold Ranke, History of the Reformation in Germany (2d London ed., 1845), translated by Sarah Austin, vol. 1, pp. 331, 335-337, 343-346; Preserved Smith, The Age of the Reformation (New York: Henry Holt and Company, 1920), pp. 23-25, 66. For a discussion of the mass see The Catholic Encyclopedia, vol 5, art. “Eucharist,” by Joseph Pohle, page 572 ff. ; Nikolaus Gihr, Holy Sacrifice of the Mass, Dogmatically, Liturgically, Ascetically Explained, 12th ed. (St. Louis, Missouri: B. Herder, 1937); Josef Andreas Jungmann, The Mass of the Roman Rite, Its Origins and Development, translated from the German by Francis A. Brunner (New York: Benziger Bros., 1951). For the non-Catholic view, see John Calvin, Institutes of the Christian Religion, b. 4, chs. 17, 18; and Edward Bouverie Pusey, The Doctrine of the Real Presence (Oxford, England: John H. Parker, 1855).